Leveraging on our affluent industry proficiency, we provide Heavy Duty Fabrication Service. These services are accomplished employing the advanced techniques. In addition, our provided service is rendered in varied terms and forms that meet on customer’s demand. Moreover, we render this service at nominal costs. 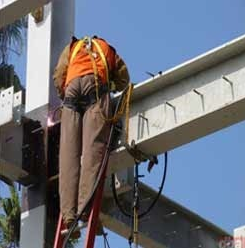 We are the service providers of Structural Fabrication Work , which are undertaken by our esteemed profession. 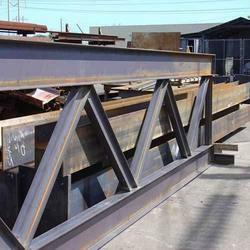 We offer Structural Fabrication. For many industries in Ahmednagar MIDC area, Supa MIDC Area & for many other clients Heavy Equipments designed & manufactured structural column, beams. We hold expertise in offering Structural Fabrication Works, which are used in multi-layered industrial and office buildings. Known for their sturdiness, our structural works are in conformance with quality standards. We are looking for queries mainly from Maharashtra. We have been extensively known as one of the recognized firms of the market by providing MS Fabrication Job Works. The rendered services are broadly acclaimed amongst our patrons for their trustworthiness and timely completion. Provided service is available with us as per the customers’ specifications and can also be modified as per their requirements. Manufacturer, exporters and supplier of industrial processing equipments, batch pans, continuous pans, juice heaters, molasses tanks, steel pipes, semi kestner and vertical crystallizers. V.S.ENGINEERS manufactures cold storage sheds, godown sheds, INDUSTRIAL SHEDs. We are best Trader Involve in supplying All types of Fabrication in an comprehensive range.